Our featured fellow for October / November is 2015 OLT National teaching Fellow Sarah O’Shea. Based on her desire to influence educational equity across HE institutions and the sector more broadly, over the last two decades A/Professor O’Shea has worked as both a researcher and practitioner in the field of university access and participation. Sarah’s skills at steering educational equity initiatives between various universities was recognised in 2012 when awarded an Australian Award for University Teaching Citation for ‘sustained commitment to student transition to university and educational equity in order to facilitate a culture of engagement’. This award acknowledged a decade of leadership in devising and implementing programs/resources to support students from diverse backgrounds (e.g. first in family, low socioeconomic (SES) backgrounds, Indigenous students, ‘second-chance’ learners and students who parent). Prof Sandra Jones, RMIT, has published a HERDSA Guide: Leading the Academy: distributed leadership in Higher Education. Prof Sandra Jones, RMIT, has published a HERDSA Guide: Leading the Academy: distributed leadership in Higher Education. 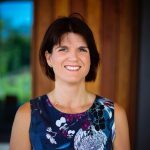 In launching the HERDSA Guide, Sandra spoke of her longstanding interest in shared leadership: “I am quite excited at its release as it gave me a chance to bring theory and our local empirical research together, with a set of resources for all”. This HERDSA Guide advocates a particular form of activity-based/practice-based leadership known as distributed leadership, which incorporates what are termed three new ‘Rs’ for leadership. • Reward for leadership performance undertaken to achieve change. Are we doing enough to increase visibility of graduate capabilities, program learning outcomes and curriculum intent to students? Why students are not provided the whole of curriculum details at the point of enrolment? Current students are able to access course information online, but the information frequently lacks relevant detail and is presented such that there is minimal student perception of relevance. Students rarely see a course-wide view of their studies, and yet their courses are developed with just such a holistic view. And yet, clearly defined course learning outcomes and graduate attributes are essential for producing graduates with the skills necessary to be proficient employees and contributors to society. Earlier this month ALT Fellow Dr. Anne Gardner presented on learning frameworks to engineering students at UWA. Students had answered questions online prior to the symposium to create their individual learning profile and worked in groups, using resources created as part of the Fellowship, to help them interpret their own profile and decide on strategies to develop their learning capacity. Presentations and handouts from all Anne’s workshops are available on the aaee-scholar wiki. Sally’s Fellowship is entitled Creating a National Framework for Student Partnership in University Decision-making and Governance. During 2017 the Fellowship is undertaking a sector-wide collaboration to develop an agreed set of principles, a framework for student engagement and ultimately toolkits to assist universities in the implementation of these principles. Sally will be coming soon to ‘a place near you’ so please take note of the workshop details listed below.